You are here: Home » Product focus on municipal cylinder brush. 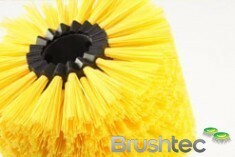 Brushtec is producing an updated range of aftermarket municipal brushes. 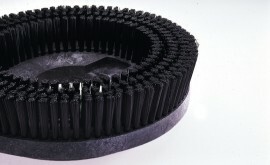 These one-piece belly brushes are designed to work on all modern municipal truck-mounted sweepers such as Scarab, and Johnston trucks. 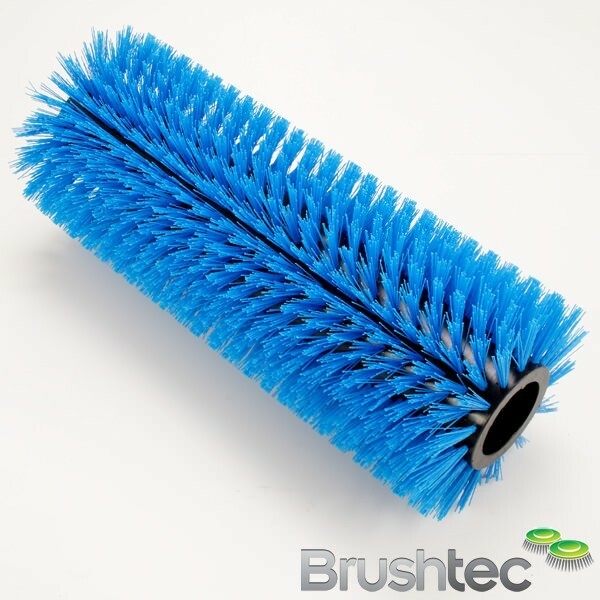 Prior to the introduction of these one-piece brushes (also commonly known in the trade as ‘belly’ or ‘wide sweep cylinder brushes’) they consisted of a re-usable steel cylinder shaft wrapped in segmented wafer rings of bristles. Every time the brush needed changing, the old wafer rings had to be removed, and the new ones reassembled with suitable spacers onto the old shaft. The benefits of this brush range are immediate. Used street cleaning brushes are always dirty, and may have hazardous debris trapped in; the one piece brush removes the operators need to be in contact with this dirt, and saves them time to boot. Two versions for each machine are available, a standard heavy duty and the two colour extra heavy duty ‘Blue Zebra™’, this is designed to be used by road plaining contractors to move large volumes of road planings. 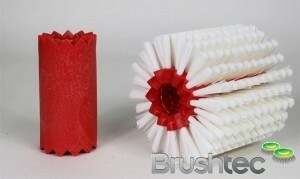 This range is produced at Brush Tec’s Newcastle facility, using a post-consumer recycled polypropylene core/tube. For more information and testimonials, please see our video showing the installation of a once piece brush, click here.